ADT's "Anthology" program was a feast, writes Maggie Tonkin. A celebration of community, Country and culture: Lesley Graham reviews dance works and performances at Ten Days on the Island. Triple bill showcases dancers' talents: Geraldine Higginson reviews Sydney Dance Company's "Season 1: 'Bonachela, Nankivell, Lane'. An extraordinary work: Denise Richardson reviews Queensland Ballet's 'Dangerous Liaisons'. No sugary affair: Susan Bendall reviews The Australian Ballet's production of Ratmansky's 'Cinderella'. Highlights from Dance Massive: Susan Bendall reviews Stephanie Lake's 'Skeleton Tree' and Melanie Lane's 'Nightdance'. Alan Brissenden reviews Meryl Tankard's 'Two Feet' and 'Zizanie' at Adelaide Festival. Rich and varied dance offerings: Maggie Tonkin reviews three of the works on Adelaide Festival's dance program. Susan Bendall reviews a selection of works from the first week of Dance Massive. Full of delights: Elle Evangelista reviews Gideon Obarzanek's 'Recital'. 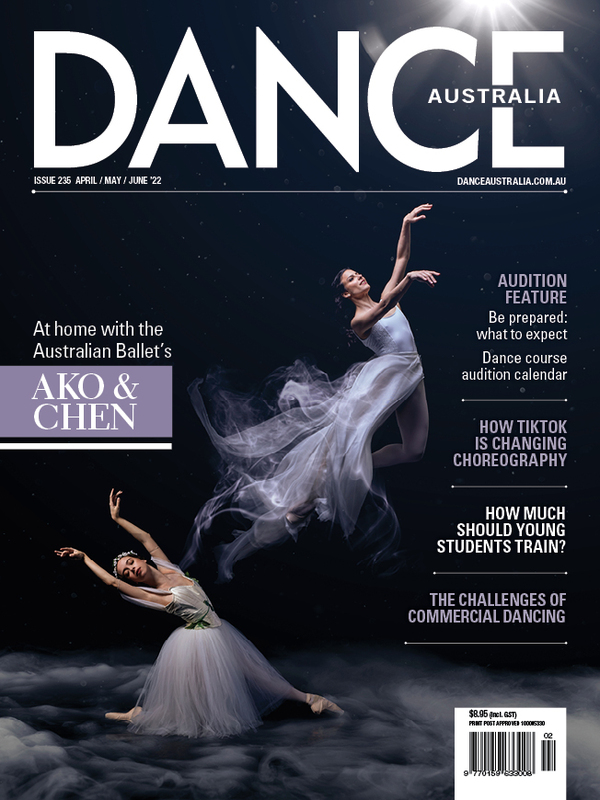 A visceral, relevant and powerful program: Jo Pollitt reviews the international dance component of the 2019 Perth Festival. Dense and richly layered – Geraldine Higginson reviews Shaun Parker & Company's 'KING'. Showcasing the outdoor beauty and complex history of WA: Jo Pollitt reviews two local offerings at Perth Festival. Heat did not hamper the opening night of West Australian Ballet's annual Quarry season, writes Margaret Mercer. The intensely dark side of love – Geraldine Higginson reviews L-E-V Dance Company's 'Love Cycle'.